Testers are needed to help investigate Civil Rights violations in Clinton, Eaton, Ingham, Jackson, Lenawee, Livingston, Monroe and Washtenaw Counties. 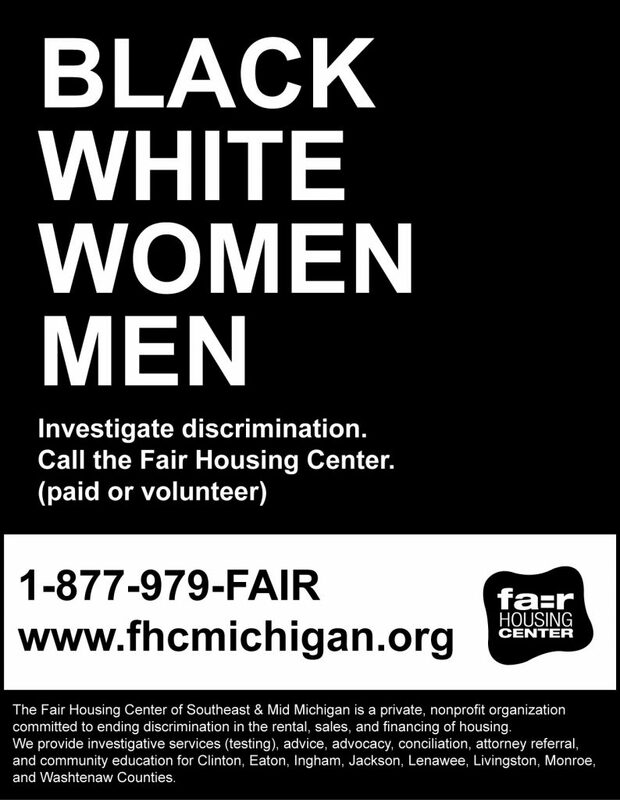 The FHC is seeking women and men to assist in the investigation of housing discrimination complaints (“testing”). “Testers” pose as home seekers in a variety of housing rental and sales situations. Testers will be part-time as-needed employees ($24 an hour plus mileage reimbursement), or may choose to volunteer. Hours vary and are flexible. Attention to details is a must. Access to personal transportation is helpful, but not required. The FHC currently needs African, African American, Asian, Caucasian, and Latino/a/x people of all genders and ages. We also need wheelchair users. Fill out, SAVE, and submit the following FHC Tester Application (please save the form with a new name to your computer before emailing or faxing it over). 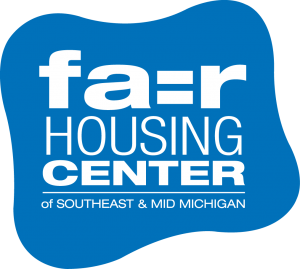 Once you’ve faxed (734-340-6598) or emailed (info@fhcmichigan.org) your application, we may contact you to discuss your application and potentially set up an interview. 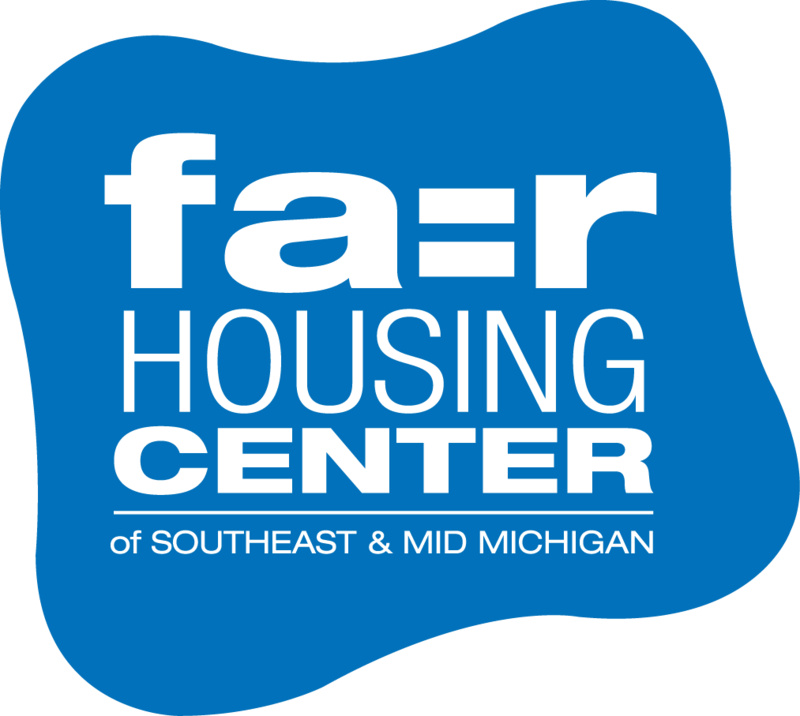 If you would like more information on becoming a tester please call the Fair Housing Center using our toll free number 877-979-FAIR. As a tester you are playing the role of a home seeker – a person who is looking for a housing unit in which to live. Testers must be objective, careful observers, accurate reporters, and truthful witnesses. Besides visiting many interesting homes and apartment complexes, you may have an opportunity to serve as a witness in a court case. 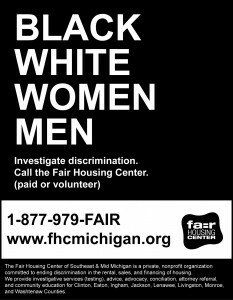 Most importantly, you become a key part of the FHC’s efforts to end discrimination in housing. Testing is a term that refers to a process of checking the housing market to determine the nature and extent of discriminatory treatment accorded different home seekers. Testers take careful notes of what transpires. discrimination. Fair housing litigation filed with the help of the FHC has been based, in large part, on the evidence provided by FHC testers. Both the sworn oral testimony and the actual written reports of testers are routinely accepted by courts as evidence of discriminatory conduct by a defendant. Watch this fun video out our Testers/Superheroes! Help end housing discrimination: print and post this these fliers for your school, office, neighborhood, etc. Thank you!